Turn down the lights, curl up by the fire, and enjoy these classic tales of frightful creatures…if you dare!. 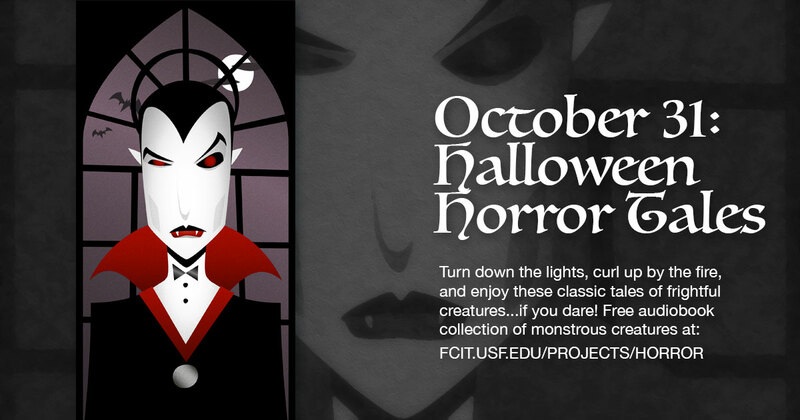 Use this banner on social media to share FCIT’s free audiobook collection of monstrous tales for the Halloween season. Dracula is a horror novel by Bram Stoker, narrated in first person diary entries and letters, telling the story of an encounter with Count Dracula. 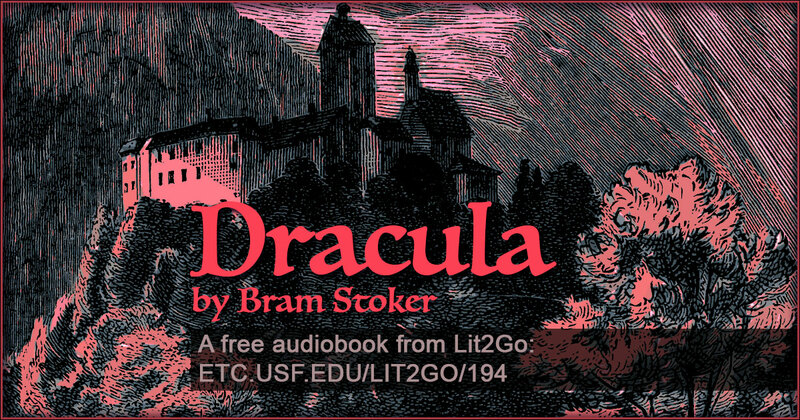 Dracula is a part of the Monstrous Creatures collection on Lit2Go. The Vampyre is a short novel written by John William Polidori and is a progenitor of the romantic vampire genre of fantasy fiction. 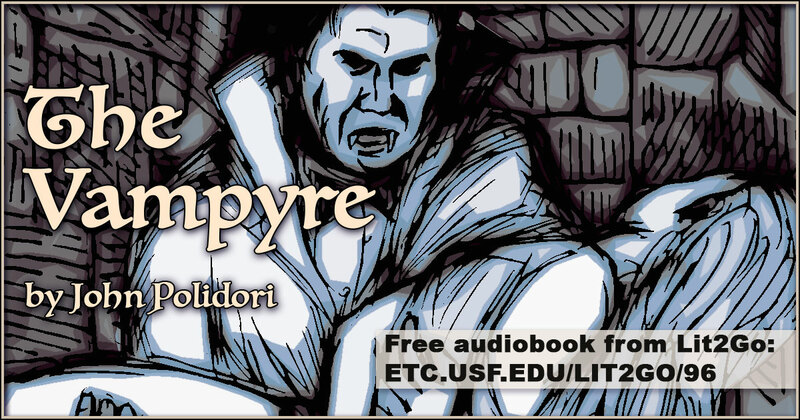 The Vampyre is a part of the Monstrous Creatures collection on Lit2Go. Beowulf is an epic Anglo-Saxon tale of adventure that follows Beowulf as he battles the monster Grendel, Grendel’s Mother, and a dragon. 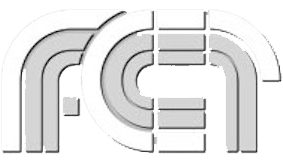 This translation, by Professor Francis Gummere, was first published in 1910. 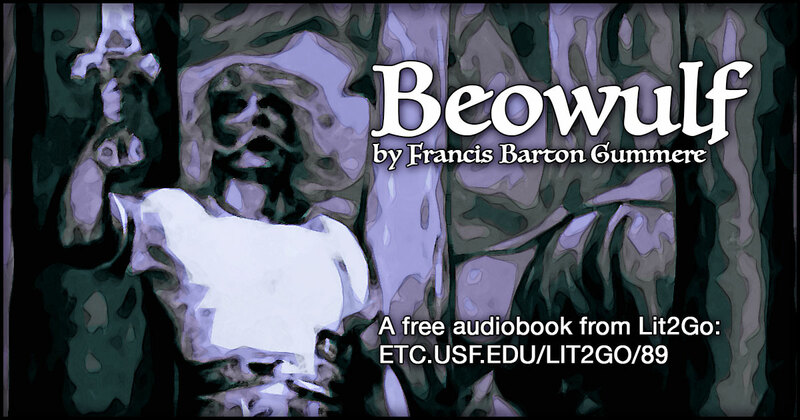 Beowulf is a part of the Monstrous Creatures collection on Lit2Go. The War of the Worlds, by H. G. Wells, is an early science fiction novel which describes an invasion of England by aliens from Mars. 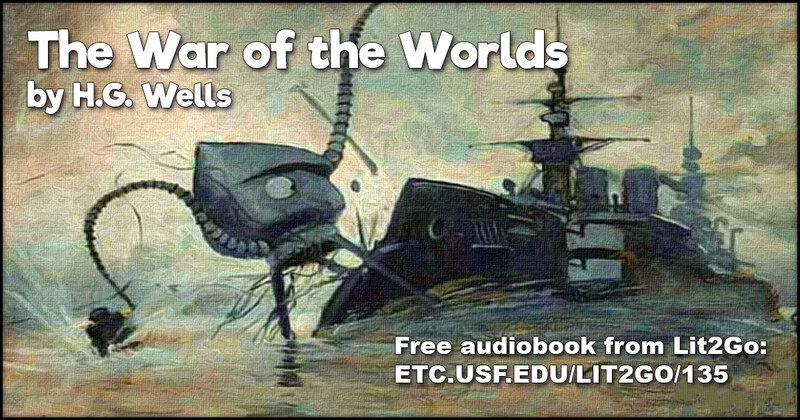 The War of the Worlds is a part of the Monstrous Creatures collection on Lit2Go. 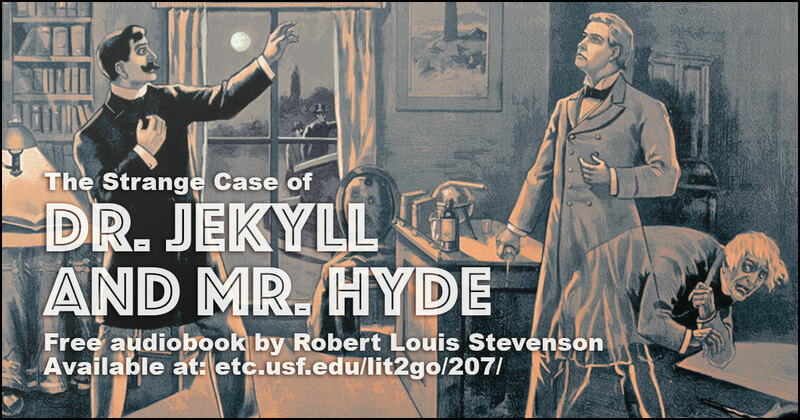 The Strange Case of Dr. Jekyll and Mr. Hyde is a suspense novel by Robert Louis Stevenson, narrating the tale of Dr. Jekyll, and his menacing alter ego Mr. Hyde. 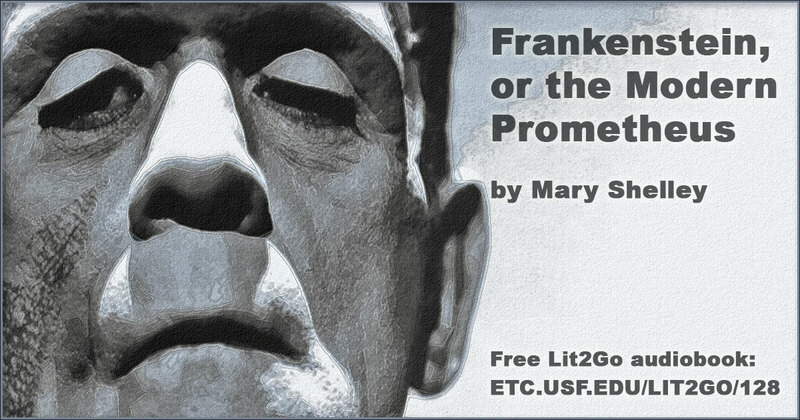 The novel is a part of the Monstrous Creatures collection on Lit2Go. 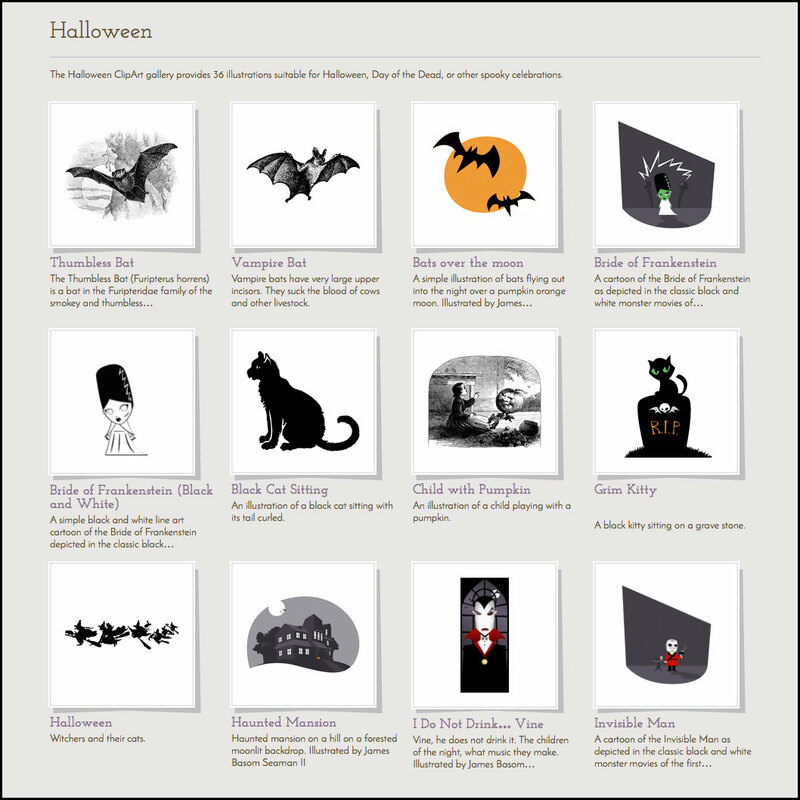 Three dozen spooky illustrations suitable for Halloween, Day of the Dead, or other spooky celebrations from the ClipArt ETC website. 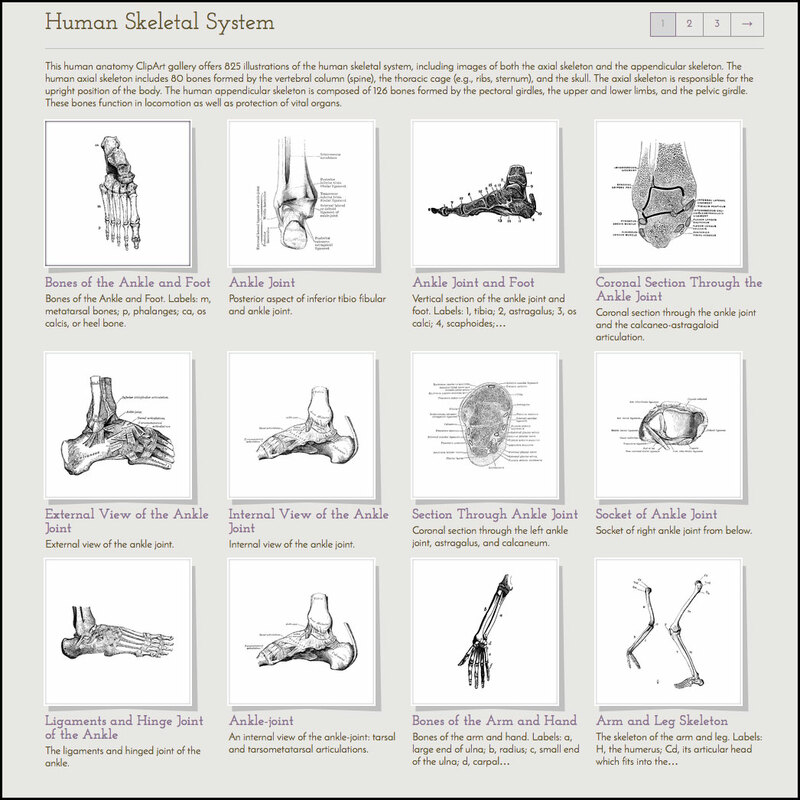 Over 800 illustrations of the human skeletal system from the ClipArt ETC website. 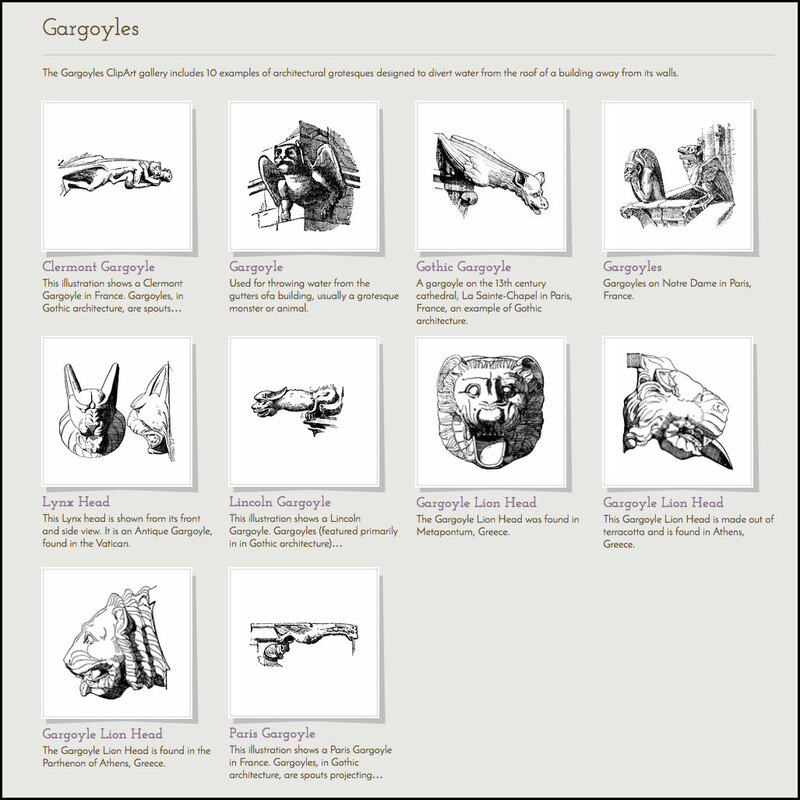 A small collection of gargoyles to shoot rainwater off your roof from the ClipArt ETC website. 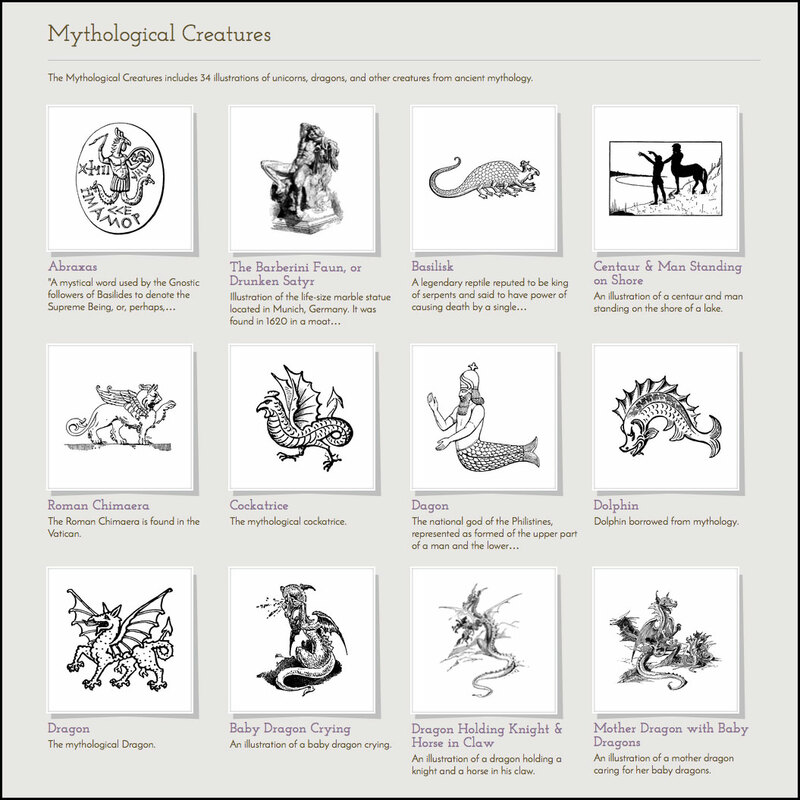 Dragons, griffins, wyverns and other mythological monsters from the ClipArt ETC website. 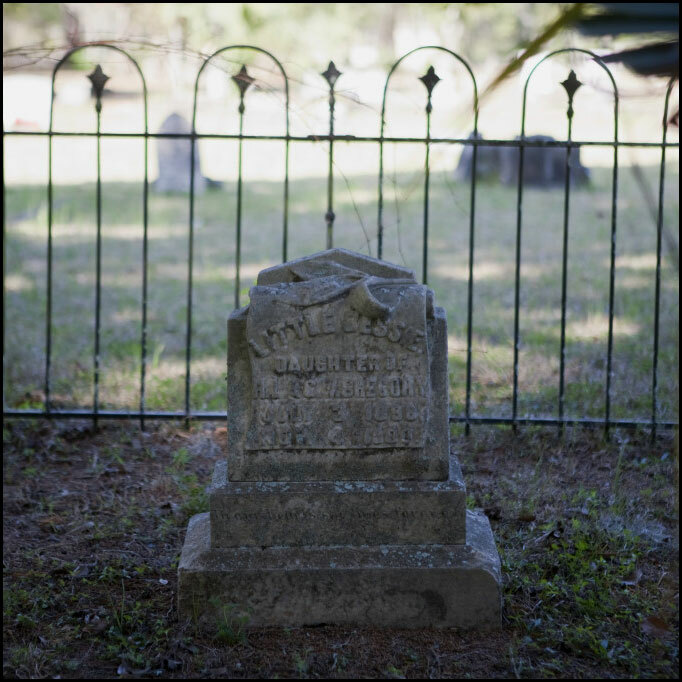 Over a hundred photos of the Old City Cemetery, Tallahassee, FL, from the ClipPix ETC website. 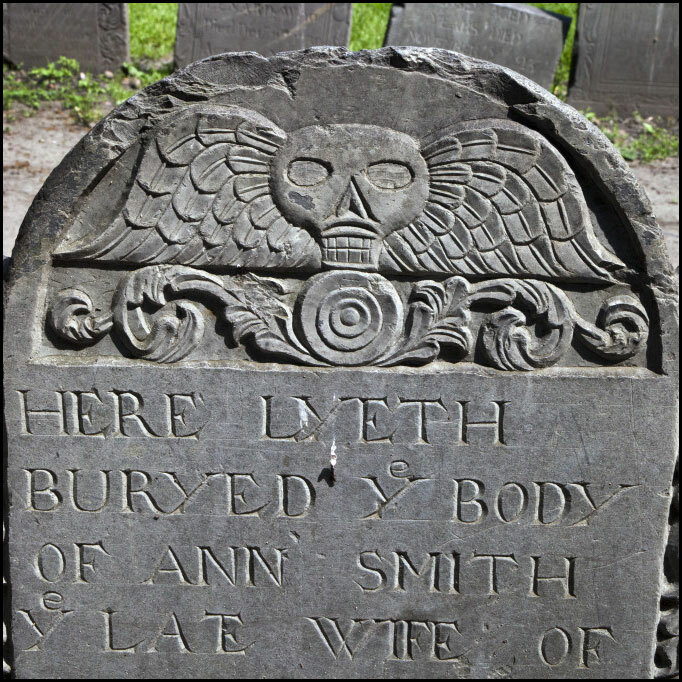 Over 60 photos of the Granary Burying Ground, Boston, from the ClipPix ETC website. 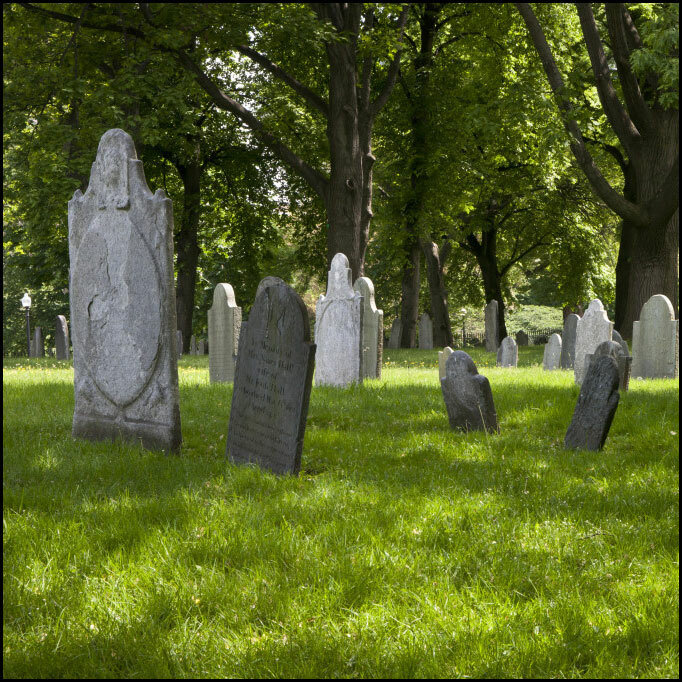 Gallery of photos of the Copp’s Hill Burying Ground, Boston, from the ClipPix ETC website. 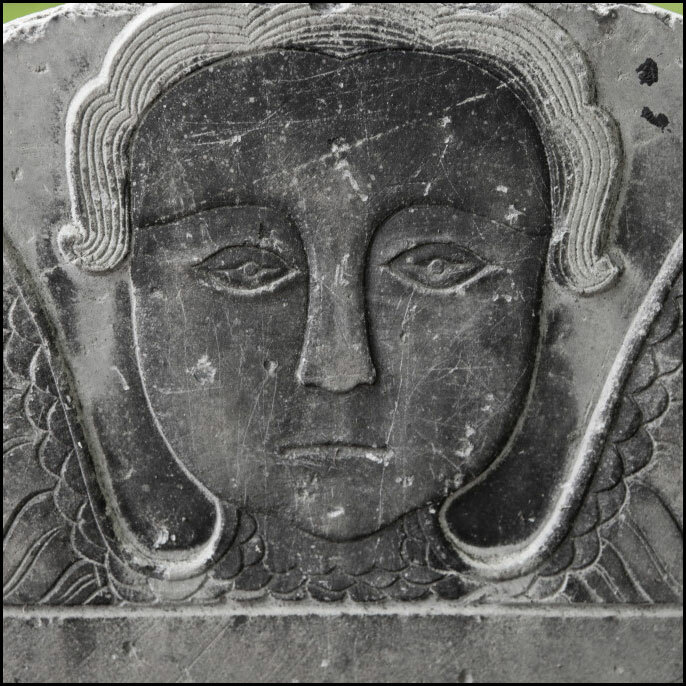 Small gallery of Central Burying Ground photos, Boston, from the ClipPix ETC website.